I grew up in central Florida around the Daytona area. I attended Daytona Beach Community College and earned my AA degree; I received my BS degree from the University of Central Florida. After finishing medical school in TX (University of North Texas, Texas College of Osteopathic Medicine), I resided in Philadelphia, PA where I obtained my internship and residency. After finishing my training in PA, we decided to move back to Florida. I am married to my wonderful wife Mae and we have a beautiful daughter. Our best times of the day are the hours that we spend together. 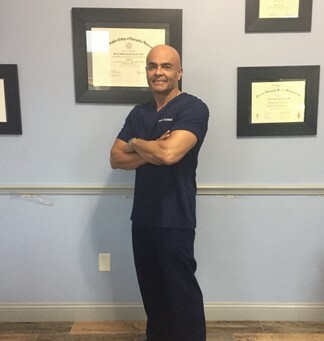 I take a great deal of pride and joy interacting with my patients and enjoy every minute. 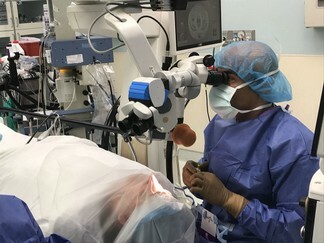 My practice is different from almost every other ophthalmologist in that I do almost everything in the office from A to Z. Patients are not just a number in my practice. I do not have a tech to do the patient exams followed by an appearance of the doctor for two minutes. I am planning to continue this way until the last day I practice medicine. I am not into advertising in the media and newspaper; my patients are the greatest source of advertising for me. I consider myself privileged and proud to be able to serve this wonderful community.